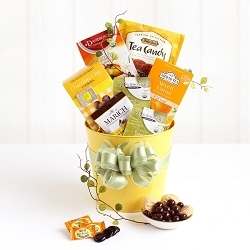 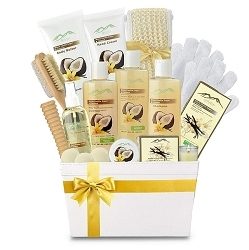 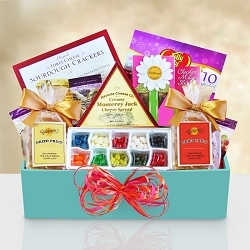 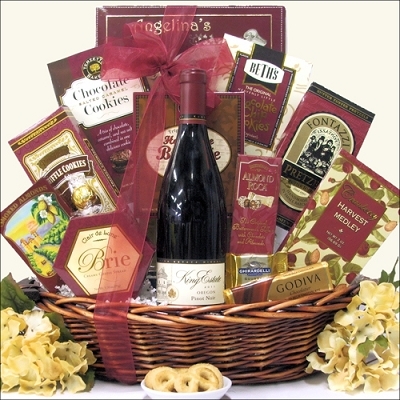 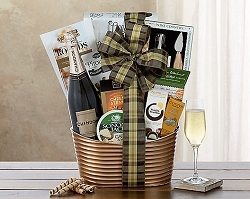 Send this bright and beautiful wine gift basket for any occasion. 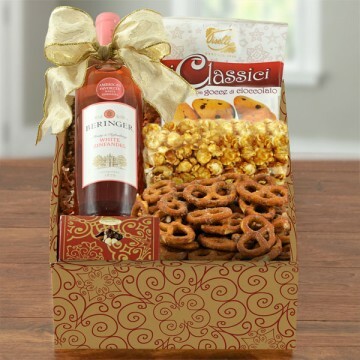 The Tavernello Italian Pinot Grigio Wine Gift Basket features an assortment of tasty snacks including White Cheddar Flavored Cheese Spread, Three Pepper Blend Water Crackers, East Shore Seasoned Dipping pretzels, Angelina's Sweet Butter Cookies and more. 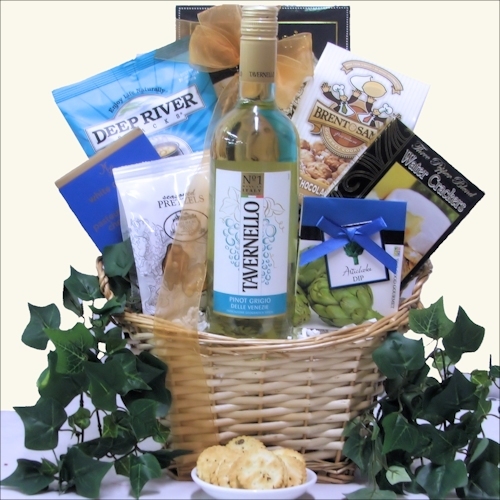 The perfect gift that any white wine lover will love. 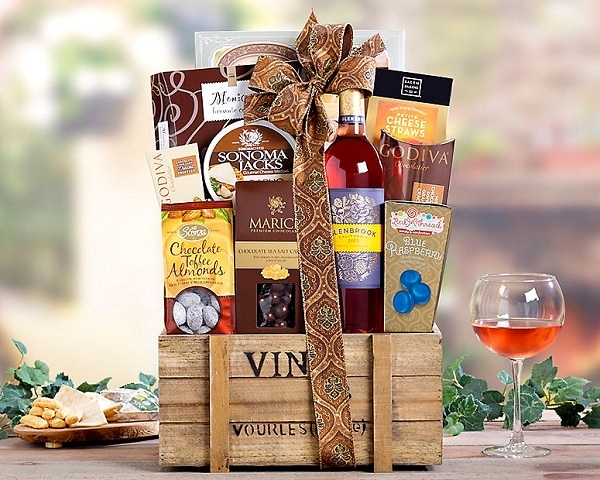 Due to Local ordinances, this gift basket containing wine may be shipped to recipients 21 years and older in the following states: AK, AZ, CA, CO, CT, DC, FL, HI, ID, IL, IN, KS, LA, ME, MA, MD, MI, MN, MO, NE, NC, ND, NJ, NY, OH, OR, PA, SC, TN, TX, VA, VT, WA, WV, WI, WY. 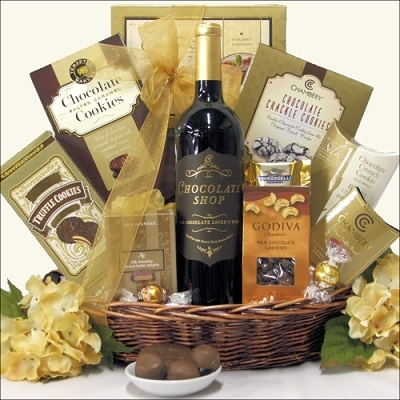 Adult signatures are required on all wine shipments.